Tania Ochoa is an Associate with Alvarez-Glasman & Colvin, handling both litigation and transactional matters. Ms. Ochoa currently serves the cities of Commerce, Chico, Montebello, Pico Rivera, Lynwood and Huntington Park as Deputy City Attorney. 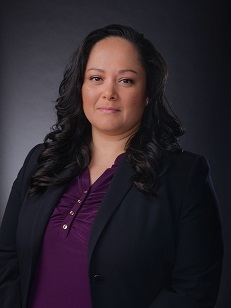 Prior to joining AGC, Ms. Ochoa served private clients through her solo civil litigation practice in the areas of business law, landlord-tenant law and family law. Under a grant from the California Bar Foundation, Ms. Ochoa also helped facilitate relationships between Los Angeles public high schools and local law firms in an effort to promote diversity in the legal profession. Ms. Ochoa obtained her Juris Doctor degree from Southwestern Law School. While at Southwestern, Ms. Ochoa was selected as a staff writer for the International Journal of Law and received awards for "Finalist Brief Writer" and "Oralist Honorable Mention" for the Moot Court Intramural Competition. She participated in the Hispanic National Bar Association Moot Court Competition while assisting various professors in legal research projects and acting as Vice Chair for the Mexican American Bar Association. Ms. Ochoa also interned at NBC Universal handling transactional matters involving above-the-line talent contracts. Prior to law school, Ms. Ochoa attended Swarthmore College in Swarthmore, Pennsylvania and received her undergraduate degree from University of California, Irvine where she was named to the Dean's List in 2005. Additionally, Ms. Ochoa worked in an administrative capacity for the Santa Monica City Attorney's Office.